New Leaf is showing some ridiculous prices on their one way flights from Abbotsford to Edmonton, Winnipeg, Hamilton, or Halifax for just $19 CAD including taxes. It's almost laughable that they would offer a fare that allows you to fly most of the way across Canada, a distance of over 4,300km, for a grand total of $19 CAD. Of course, it's not exactly the quickest flights, with 2 stops between Abbotsford and Halifax. 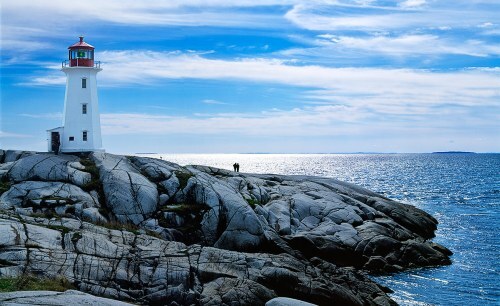 Yes, it's possible to find roundtrip flights from Abbotsford to Halifax, Nova Scotia for just $57 CAD, including taxes! flight deals, ontario, canada, abbotsford, yxx, alberta, north america, winnipeg, ywg, manitoba, edmonton, yeg, hamilton, yhm, halifax, nova scotia and yhz. 4 Responses to "One way deal: Abbotsford to Alberta, Manitoba, Ontario, or Nova Scotia - $19 CAD after taxes | roundtrip to Nova Scotia for $57 CAD"
While there are still plenty of Abbotsford to Halifax dates for $19, there seems to only be one Halifax to Abbotsford date remaining for $38 (Dec 9th). So, the roundtrip flights for $57 appears to be sold out. I doubt New Leaf will be around to operate many of these flights in the future. The taxes and mandatory fees alone on a YXX-YHZ flight, even priced at $0 base fare would be $14.25 for the ATSC charge and about $30 for various AIF's. Even if their casm was 70% of WJ's, (and it isn't, it's probably higher for all kinds of reasons I won't bore you with), the fully allocated cost per seat to operate those flight would be about $260. So how long do you think a company that charges $19 for it's product that costs them at least $300 to "manufacture" stays in business? Only as long as idiot investors are prepared to throw good money after bad. Good luck and make sure you have a backup plan to get home when New Leaf goes tango uniform. They only offered a certain number of seats at the ridiculous price to gain attention as a newcomer to the market. The loss they would take on those seats could be considered part of the marketing budget. I'm pretty sure they would be aware that $19 airfares aren't financially viable in the long run.